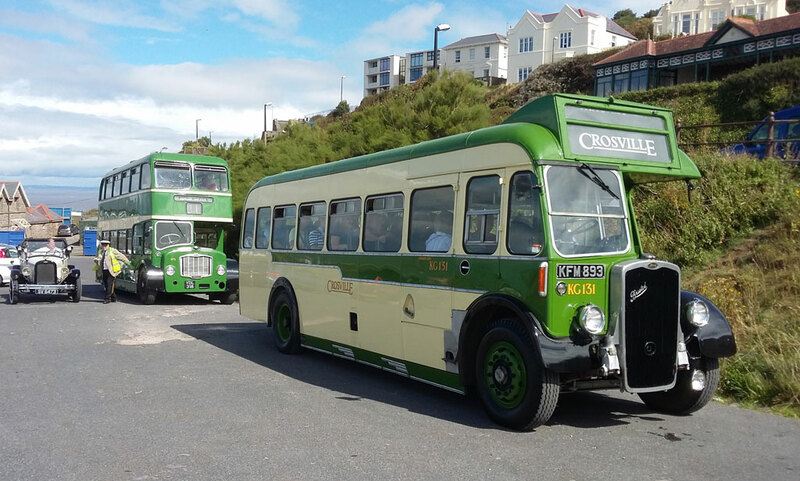 Local residents in Weston-super-Mare may have been surprised to see a convoy of 5 Crosville buses a few weeks ago but they were all needed to support Birnbeck Pier. But the Pier is supported by cast iron pillars, I hear you say. Structurally, you’d be right but just now the Pier needs all the extra support it can get if it is to survive in the future. The historic Pier is in a perilous state, having fallen into disrepair many years ago. Part of the structure fell into the sea after a ferocious storm last year which galvanised local support for saving what’s left. This is where Crosville became involved when the Birnbeck Pier Regeneration Trust chartered the historic vessel MV Balmoral. 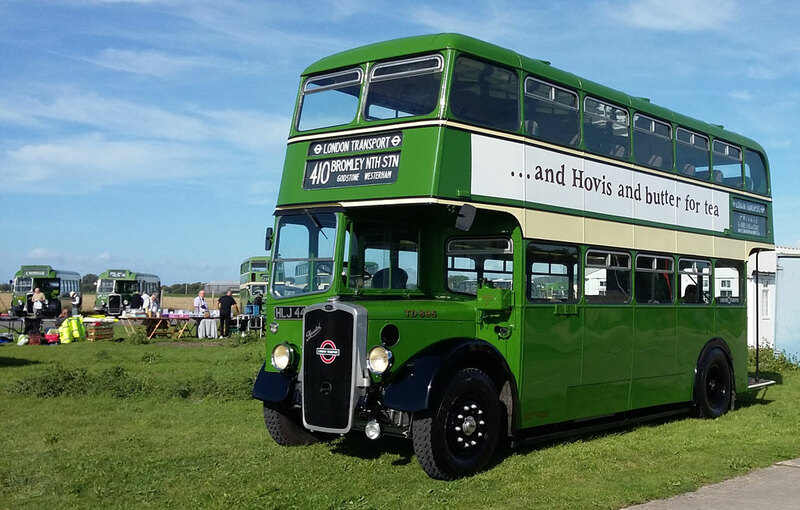 A fleet of buses was hired to transport supporters to Clevedon Pier where they boarded MV Balmoral for a cruise up the Bristol Channel. 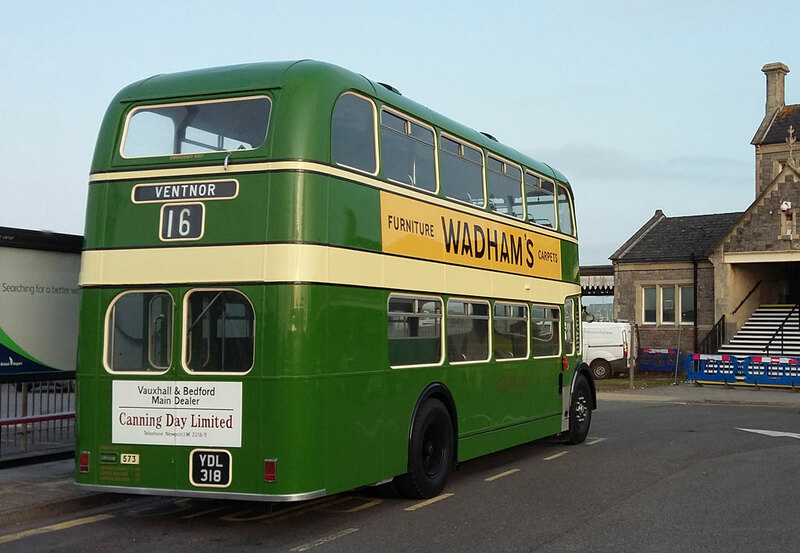 This photo shows my allocated bus, Crosville KG131 (KFM893) a 1950 Bristol L5G, loading at Birnbeck Pier. 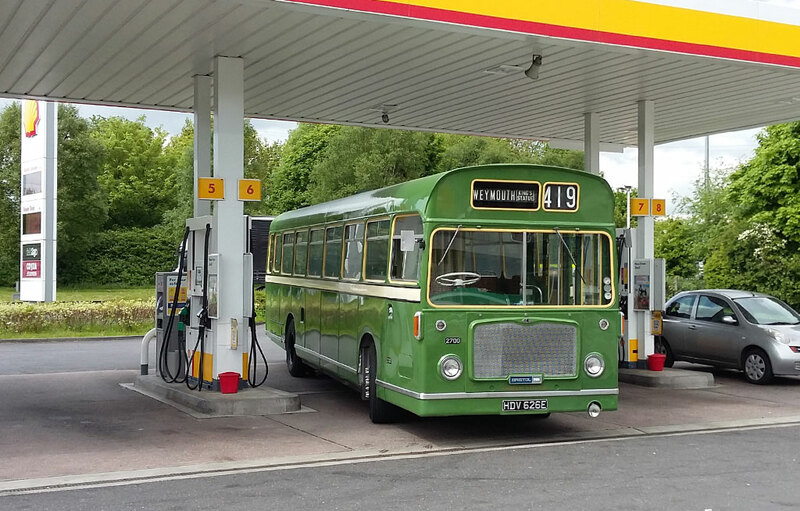 Behind it is Southern Vectis 573 (YDL318), a 1962 Bristol FS6G with a 1925 Chevrolet Model K Roadster keeping it company. 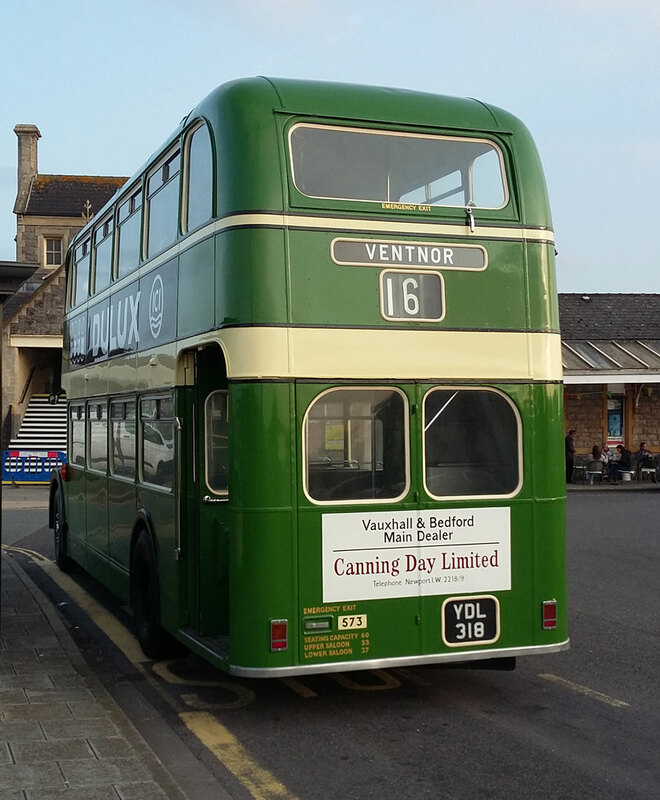 Members of the Trust had planned the transfer to Clevedon in minute detail, each bus having its own load list so that everyone had an allocated seat. 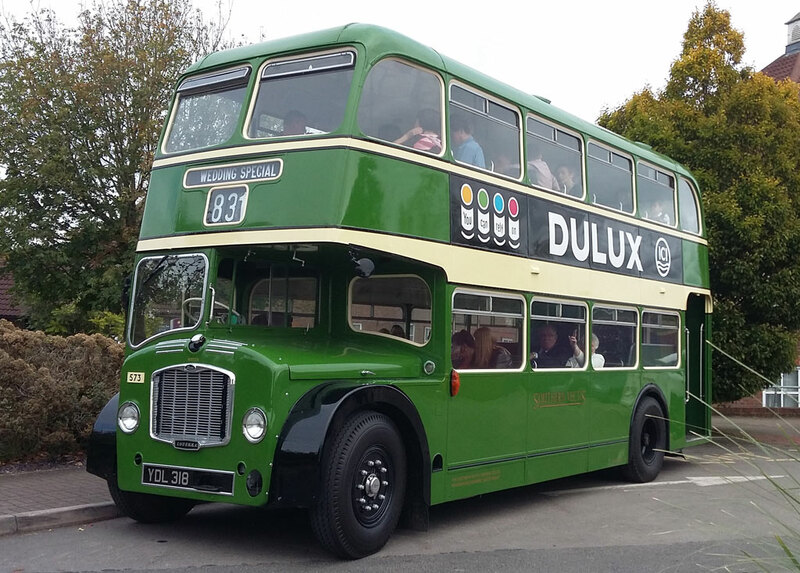 Our little convoy must have looked rather incongruous as we got under way because a 21st century version of a Crosville single decker followed right behind – a 2016-built Yutong coach. 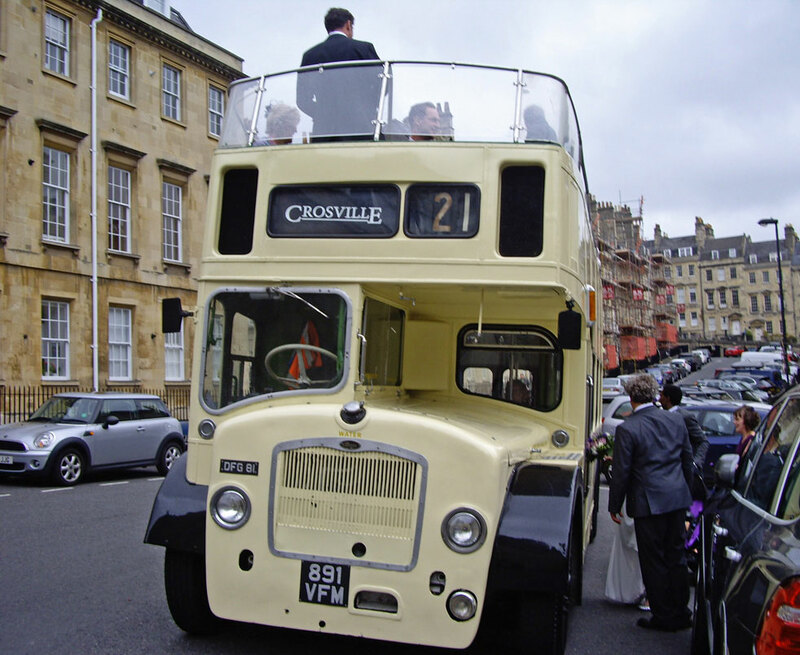 This is one of several purchased by the modern Crosville for use on the commuter service to Bristol. 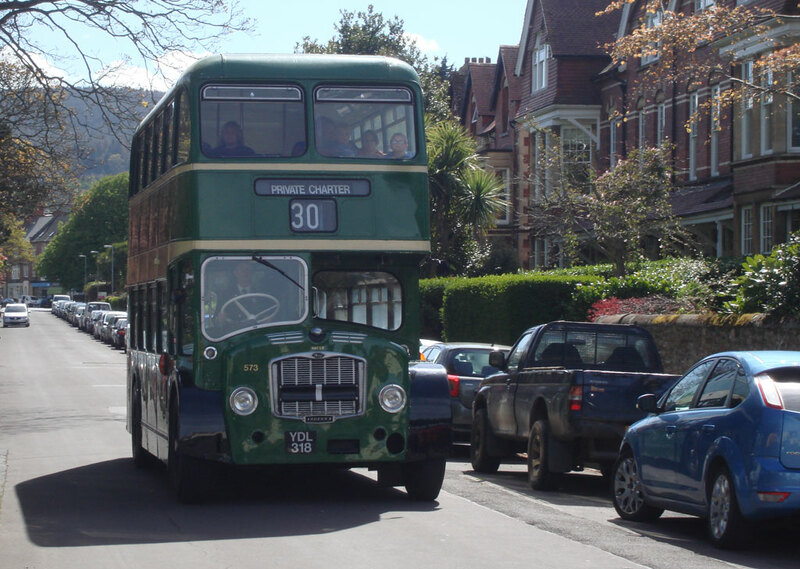 As always, the Bristol L behaved impeccably on its fully loaded run to Clevedon. 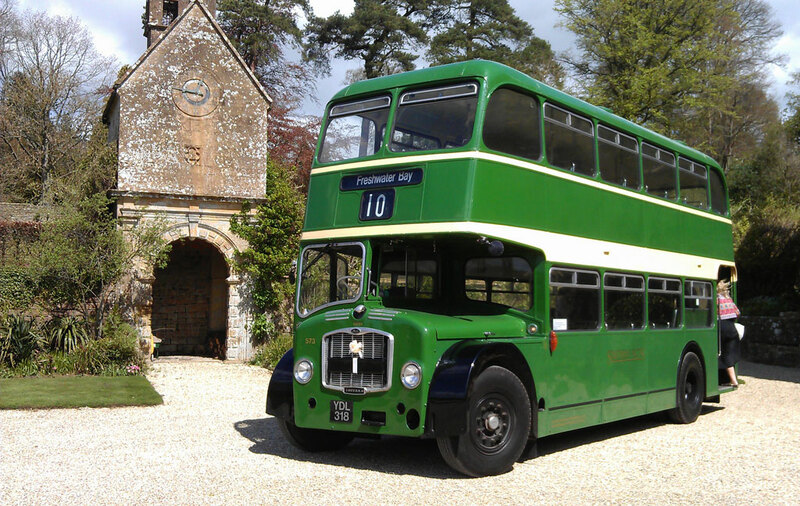 I always enjoy driving this bus which, despite its 66 years, still feels tight and rattle-free. 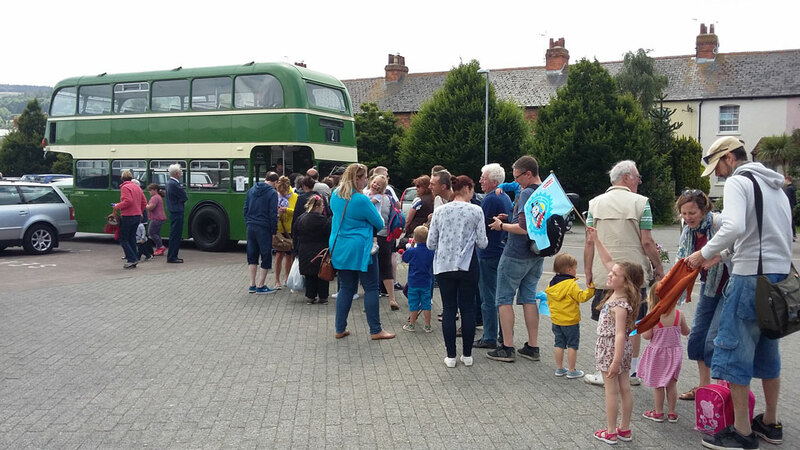 Unfortunately, due to a speedboat festival taking place on the closed seafront road, we were unable to unload our passengers near to the pier so we parked as close as we could and the Birnbeck Pier supporters had to walk down the road and along the pier to board the Balmoral. 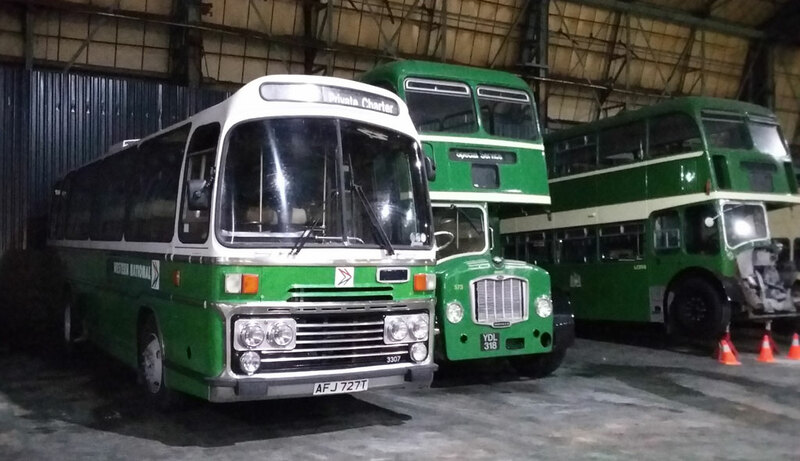 It would be several hours before they returned after their cruise so all the buses returned the short distance back to the Crosville depot to lay over. When we returned later we were dismayed to see the Balmoral glide past the pier and on down the Bristol Channel because there was a speedboat race taking place right next to the pier, perventing the boat from approaching the pierhead. 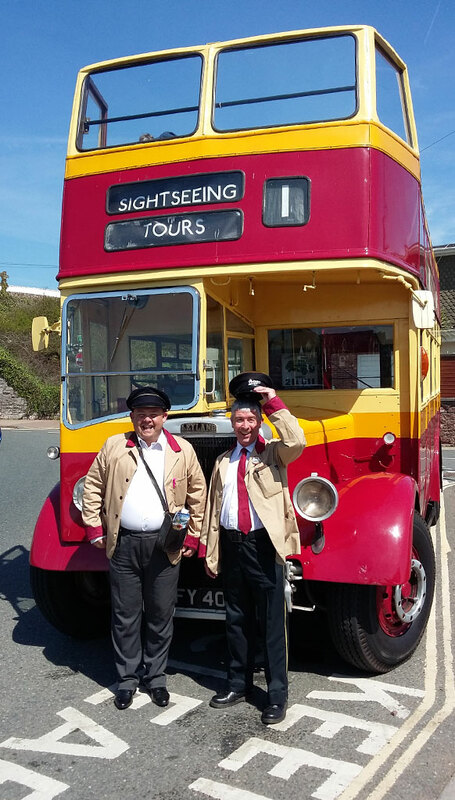 About an hour and a half later than planned, our passengers boarded their buses and we returned to Birnbeck Pier. On the way I took advantage of the ‘overdrive’ 5-speed gearbox on the L to overtake the slower Bristol FS on the motorway! After parking up in the garage I wandered over to have a look round the remains of GWR 4-6-0 7027 ‘Thornbury Castle’ which had been delivered a few days earlier. 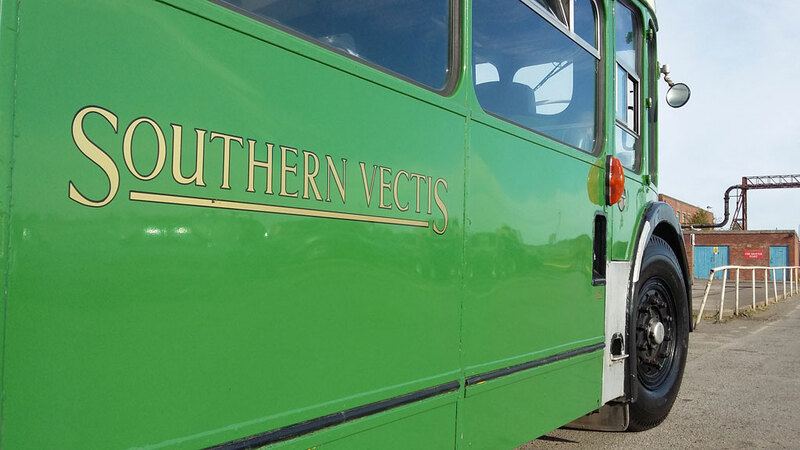 This locomotive will eventually be restored to working order. 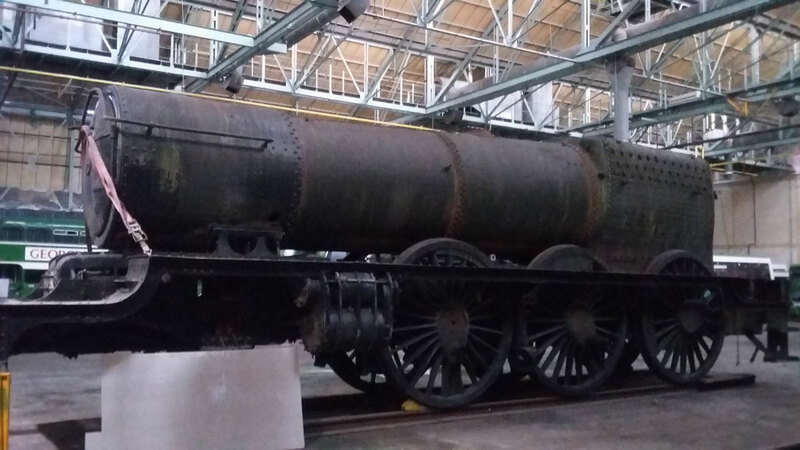 It looks very forlorn in this picture but now, a few weeks later, it has been joined by its tender, front bogie and lots of dismantled parts. Well, that’s all for now. Life has been so busy recently that I’ve fallen behind in posting here! 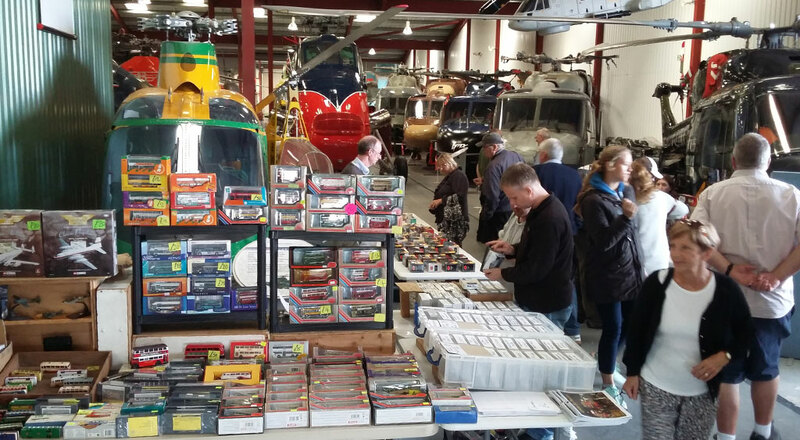 Next will be news of a West Somerset Railway duty with a Bristol KSW and after that a report on the recent Crosville Bus & Steam Rally.